Paving of Church Street is underway Thursday morning. Paving of Church Street from Lincoln Avenue to near Crestwood Drive is underway. A base course was poured Wednesday. Intermediate and surface courses are expected to be poured on Thursday. 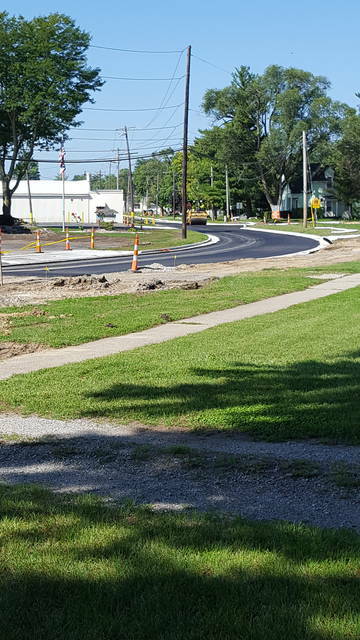 A delay in this project led to changes at pick-up and drop-off at Swanton Elementary School. Buses normally used Church Street to enter the school. When the project is complete, the elementary schedule will go back to normal. Work on the Village of Swanton’s Project 7 sewer separation has moved south of the railroad tracks. Underground work on Church Street between Hallett Avenue and Crestwood Drive is complete. That section of Church Street will remain stone until the completion of the entire sewer separation project, which is expected in October. At that time, paving will occur. The underground work now moves to the area near the Public Service Division and will head north towards East Garfield Avenue. Once it crosses Garfield Avenue it will head north on Harrison Avenue. Lawrence Avenue is also included in the project. https://www.swantonenterprise.com/wp-content/uploads/sites/23/2018/08/web1_20180823_105409_ne201882310571682.jpgPaving of Church Street is underway Thursday morning.